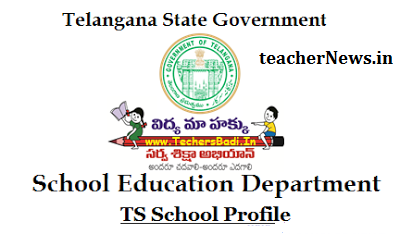 TS Online full information of Schools and teachers Particulars the Education Department Officials. In this video conference Commissioner and Director of School Education has instructed and ordered to fill the teachers particulars in online on or before 01-08-2015 and certain instruction have been issued for filling the online full information of school and teachers particulars. In this section, Head master fill the following details of present Status of infrastructure facility of your school. Teaching/Non Teaching staff particulars In this section, Head master should fill the following details/particulars or information of Teaching/ Teaching staff in the given prescribed proforma.